Ti's the season and we're in the midst of the holidays. If you're still in shopping mode and have a winelover on your list, here are some Italian wine book selections that are the perfect gifts to consider. Of course you can read all these great books, but there is nothing like combining it with wine to fully comprehend it. That's the best way to learn....drink, drink, drink! 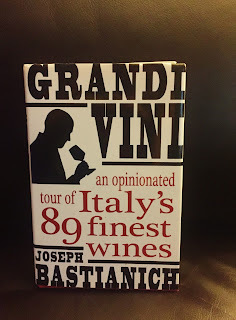 My trusty Italian wine resource has always been Joseph Bastianich and David Lynch's Vino Italiano The Regional Wines of Italy. It's an easy to read book where each chapter features a different wine region within Italy. Each chapter talks about their personal experiences traveling through that region including a recipe of local cuisine, recommended wines from that region found in the US, reds, whites, sparkling and dessert wines if they exist, maps and some suggested destination spots. Plenty of fun to explore in each chapter to give you that sense of place. 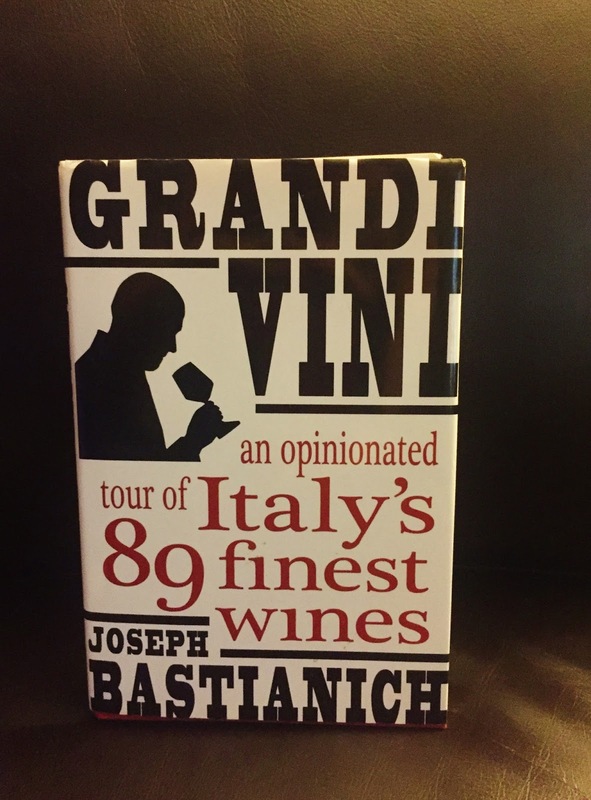 The next book, Grandi Vini an opinionated tour of Italy's 89 finest wines is another one I have come to enjoy. This is another book written by Joseph Bastianich and is a lot different than the others I'm sharing today. As the name suggests, it shares 89 wines from Central Italy, The Islands, Northeast Italy, Northwest Italy and Southern Italy and the mezzogiorno. It gives background on some of the top wines and their respective producers from each region with some other added tidbits on those regions, grapes and terroir. When learning about any wine from an area, having a perspective on the top players and their history and traditions in winemaking helps one have a deeper understanding of that particular area and this book does just that. 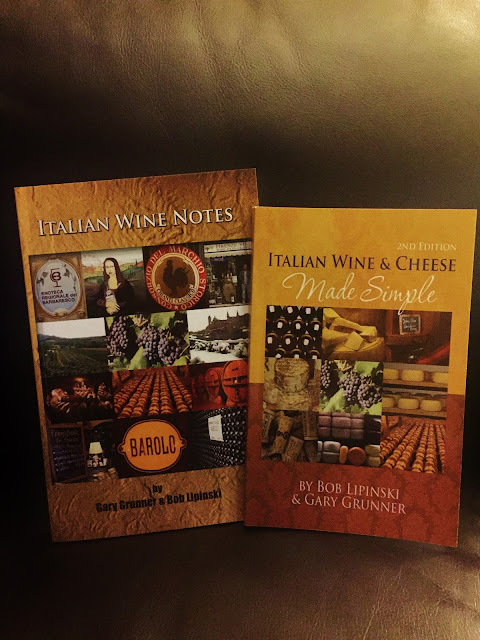 Lastly, a fellow wine lover I've met virtually over the years, Bob Lipinski, shared with me a couple of the many books he has written with Gary Grunner: ItalianWine Notes and Italian Wine & Cheese Made Simple 2ndEdition. One of the things I learned from when I got certified in Italian wine is that there is a BOATLOAD of information on Italian wine and for the average person it can be very overwhelming if you're just trying to understand Italian wine in simpler terms. I got certified in Italian wine to increase my knowledge and specialize in it, but this isn't everyone's goal and heck, I need to find books like the ones that Bob wrote when it comes to understanding wines in the rest of the world in order to make it easy to understand. Italian Wine Notes is a short book that simplifies Italian wine including the different types of Italian wines, grapes, DOCG's, wine laws, wine terminology and Italy's regions and the wines produced within those regions. As the name suggests, the Italian Wine & Cheese book Bob wrote is primarily based on wines from all regions within Italy and the cheeses produced within all the regions of Italy from A to Z. There are plenty of suggestions of which Italian cheeses to pair with which Italian wine along with some fruit pairings too. So find your local specialty cheese and wine shop and start playing around with the pairings. There are others I look forward to seeking out and reading and I'll share those when I get around to purchasing them and reading them. 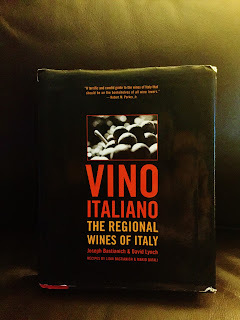 What have you discovered for Italian wine books that you've personally enjoyed? *Bob Lipinski's books were offered as a sample to read, but are my personal opinions. It doesn't cost you a dime if you decide to click the links to amazon to purchase the books, but it does support my efforts in writing and sharing all this information with you. Thank you in advance. Who says there isn't great pinot grigio?